I'll leave you with these. 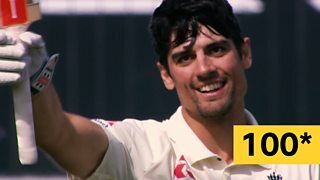 Watch them, cherish them - this is the story of Alastair Nathan Cook's final day of batting in Test cricket. That's nearly it for this live text. Thank you for reading, it has been a total pleasure today. Amy Lofthouse's report of day four is here. 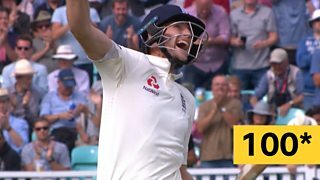 The story of how Alastair Cook reached his century in his final Test is here. 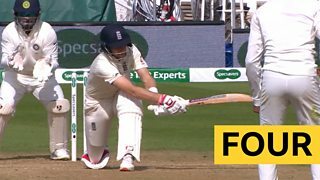 And the Test Match Special podcast is here. Join us from 10:30 BST tomorrow as England look to take seven wickets to secure a 4-1 series win over India. Number 564 for James Anderson was not to be today. He'll be back tomorrow. 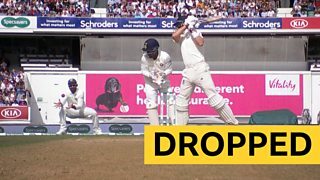 Stuart Broad dismissing Virat Kohli for a golden duck. Oh my. England had about an hour and 10 minutes to bowl at India in the evening session. 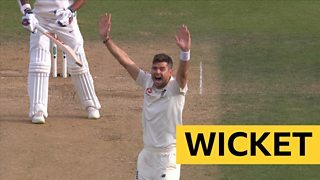 James Anderson needed three wickets to surpass Glenn McGrath for most Test scalps by a fast bowlers. 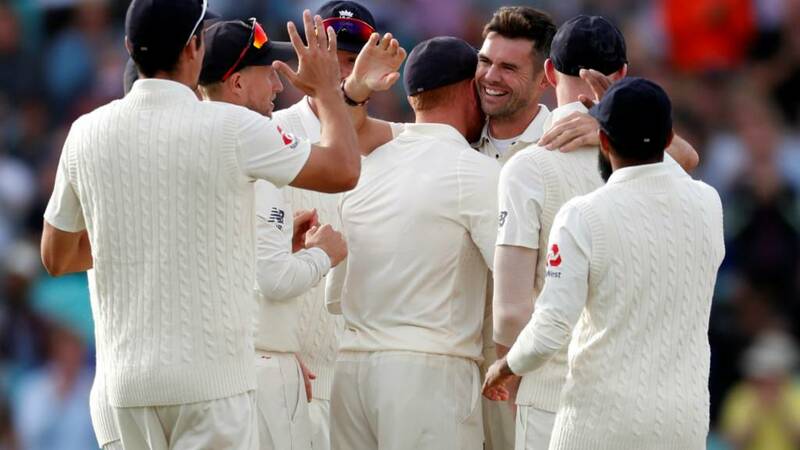 But a fine batting performance, including Ben Stokes' entertaining 37, helped England reached 423-8 declared, setting India a highly improbable 464 for victory. Harry: I want to take this moment to declare my undying love for Alastair Cook. England's greatest batsman of all time and the 5th highest run scoring Test batsman ever. Dignified, humble, classy, and good humoured to the end: what a man. 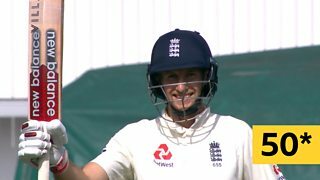 Ryan: What a day for English cricket. That would have been some occasion at the The Oval today! 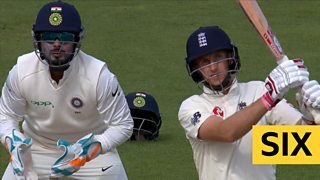 Just as Cook said in his post-match interview - England captain Joe Root did score a superb century of his own today. 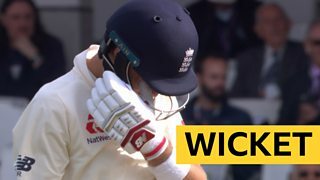 Yet just when thoughts started to turn to Cook signing off with a double hundred, the great man was out, edging behind off the part-time off-spin of Hanuma Vihari. A maximum break of 147 to end his 12-year career and send him above Kumar Sangakkara into fifth in the all-time Test run-scorer list, also making Cook the highest left-hander in the rankings. 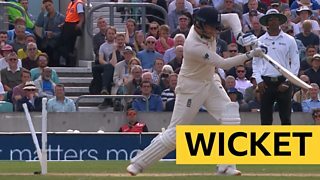 As one reader quipped - Alastair Cook's mentor Graham Gooch was watching on somewhere perhaps telling him to "make it a daddy hundred" while blubbing away. 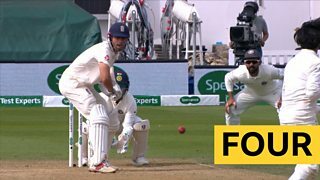 Of all the ways to reach his 33rd and final Test century, Alastair Cook did it thanks to overthrows. Both he and the crowd afforded a laugh after all the tension of the morning. The crowd fell silent every time Alastair Cook was facing. Every run was met with warm applause, the boundaries met with a whoop as England fans let out their nervous tension. Only to of course fall back into silence shortly after. 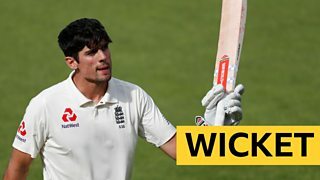 Cook resumed on 46 not out and the first step was to reach fifty and secure a career average of at least 45.00. Alastair Cook is far more comfortable facing 90mph fast bowlers than being the sole focus of everyone's attention. 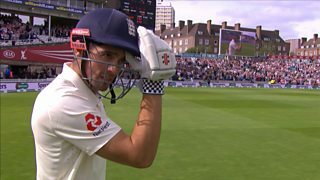 Alastair Cook says he would like to watch today back. 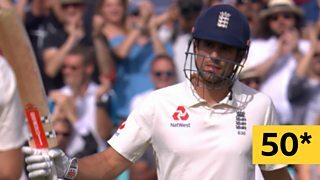 England's Alastair Cook to TMS: "It was an unbelievable way to end. It was strange week but I was just determined not to get out early because it would have been an anti-climax, but to go out like that is the prefect way to end. I don't think it was any doubt I could still play but I certainly found the last 12-18 months harder. 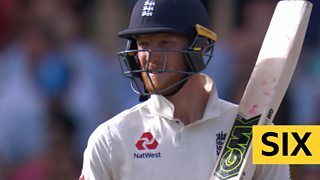 "My greatest skill is to be able to take a lot of emotion out of my batting and to be able to take one ball at a time, and if there has ever been a test of that, it has been this week. To perform like that probably just shows my greatest strength. Asked about how he feels, Cook said: "I can't really describe how I feel. I want to go back and watch it now to see how special it is." On James Anderson's bowling milestone: "I have been there for a fair few of Jimmy's milestones but to do it together tomorrow would be special."